Among all legendary creatures, the dragons (derived from Greek δράκων or drákōn) have taken their unique place among the pedestals of mythological accounts as well as present-day popular culture. 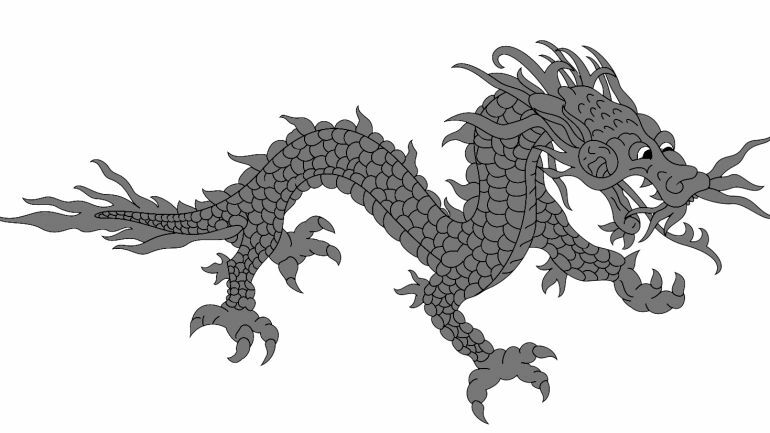 And quite interestingly, dragons (or at least dragon-like entities) have been symbolic fixtures from a myriad of regions across the world. Of course, many of these mythical traditions have developed and evolved distinctly without much influence from one another, and yet the monsters have commonly played their major parts as gods, demons, and even personifications of nationalism. 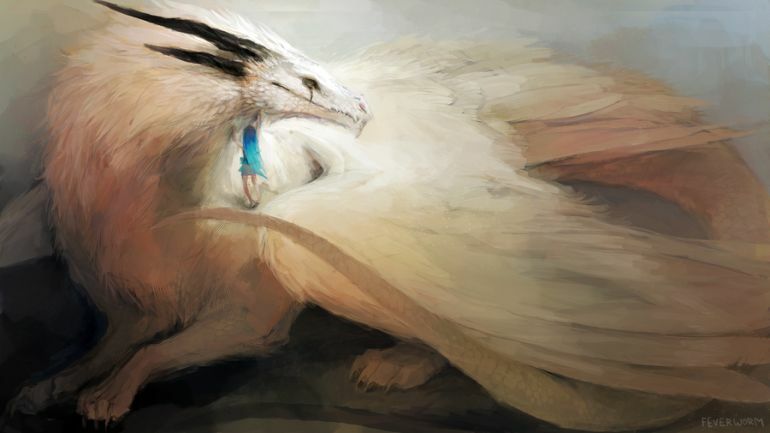 So, without further ado, let us take a gander at ten mythical dragon entities from cultures across the planet that you might not have known about. 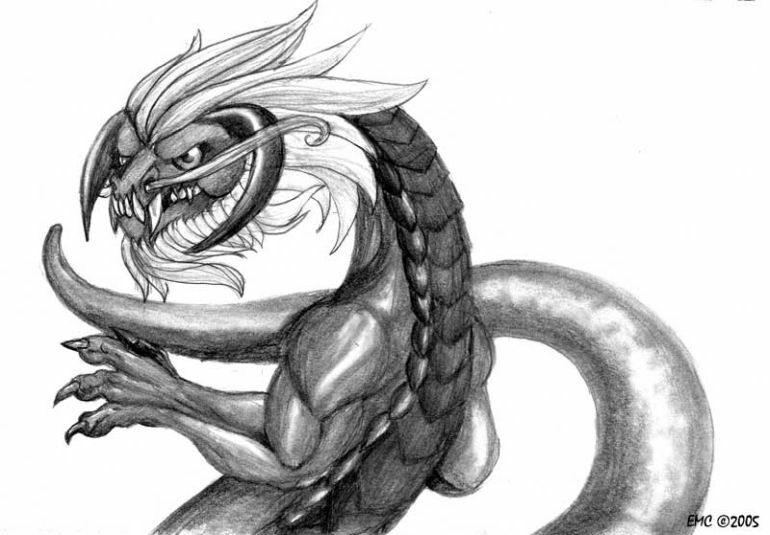 Note* – Some of the images may not depict the lore version of the dragons, but they were still used due to lack of pictorial depictions in the related media. Also known as Akhekhu, the Akhekh is characterized as a fantastical beast with a long serpentine body that is supported by its four legs. 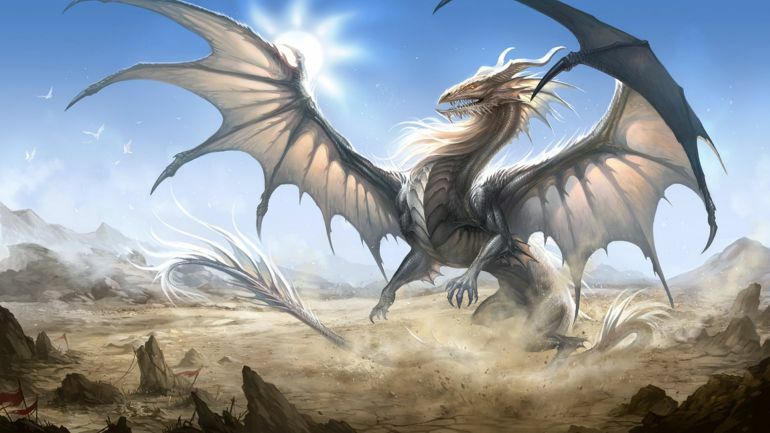 The mythical dragon was said to reside in remote corners of the Egyptian lands, mainly around the fringe desert areas beside the fertile Nile valley. 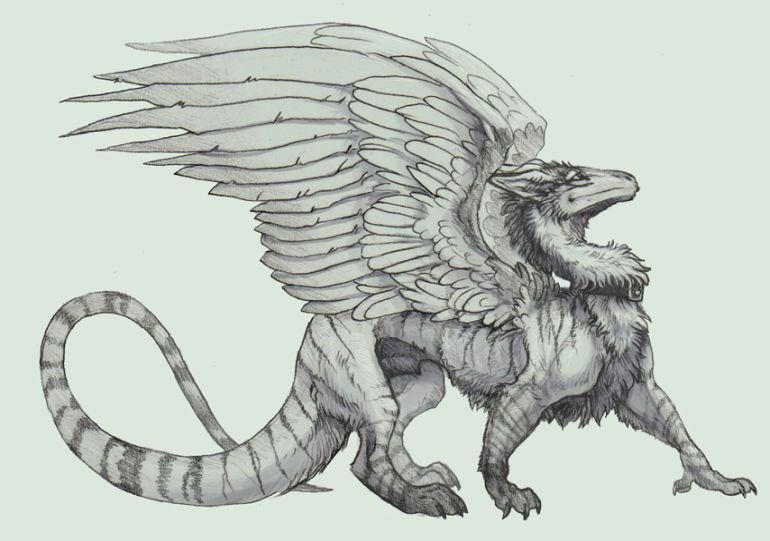 And interestingly enough, the tales of the Akhekh drake might have inspired the legends of the Griffins in Europe. This gradual evolution of folkloric traditions can be substantiated by the later depictions of the Akhekh – in which the creature maintains its serpentine profile with the ancient Egyptian headgear (Uraei), albeit with an antelope’s body and a bird’s head. If the legend of the ‘Jason and the Argonauts’ was an adventure game, the Drakon Kholkikos (or simply Colchian Dragon) would have been the main boss who guarded the Golden Fleece – that was located in the sacred grove of Ares at Kolkhis (present-day central Georgia). Described as having a crest, three tongues and a magical set of teeth, there are different versions as to how the mythical dragon met its untimely death – with some concluding with the ubiquitous scenario of the hero slaying the dragon, and some alluding to a situation where the witch Medea puts the dragon to sleep with her magic. There is also a third version where the great singer Orpheus lures the dragon with an enchanting musical rendition on his lyre. Druk or the ‘Thunder Dragon’ is the national personification of Bhutanese culture, mythology and monarchy. To that end, the elaborately scaled drake is prominently featured in Bhutan’s national flag and national anthem (Druk tsendhen), while the Himalaya-nestled nation itself is called as Druk Yul (in Dzongkha), which translates to the ‘Land of Druk’. The mythical dragon-inspired scope also extends to personal titles with the leaders of Bhutan being addressed as Druk Gyalpo or ‘Thunder Dragon Kings’. And, if you thought that was stretching things a bit – well, even all the political parties were named as ‘Druk Party’, for a mock election that was held in 2008. Probably the most famous of all the dragons mentioned in this list, Fafnir (according to various sagas) oddly enough started out his life as a mere dwarf. He was the son of the Dwarf king Hreidmar, and was responsible for killing his own father to get hold of all the wealth and treasure that was originally stolen from the æsir gods. However, after he had taken the valuables out of sheer greed, he was cursed by Andvari’s ring and gold among the loot (it was a trick played by Loki). This transformed him into a mighty mythical dragon with armored scales that couldn’t be penetrated by ordinary weapons (Smaug anyone?). Finally, it was Sigurd who slew him with his broken-sword, Gram, by finding a weak point along the soft underbelly of the gigantic beast. 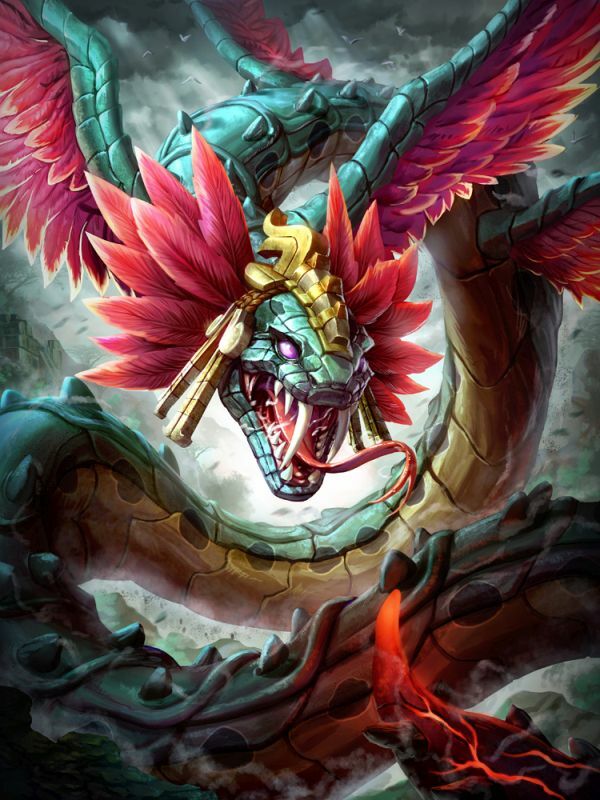 Also known as Quetzalcoatl, Kukulkan was worshiped as the great ‘feathered serpent’ god in the pantheon of Aztecs, Toltecs and the Mayans. The major deity (often taking the form of a mythical dragon-like entity) seems to have played a multifaceted role while practicing his ‘godly’ business. To that end, Kukulkan was the god of creation, the sire of both the Morning and Evening Star, the protector the craftsmen, the rain-maker, the wind-blower and also the fire-bringer. 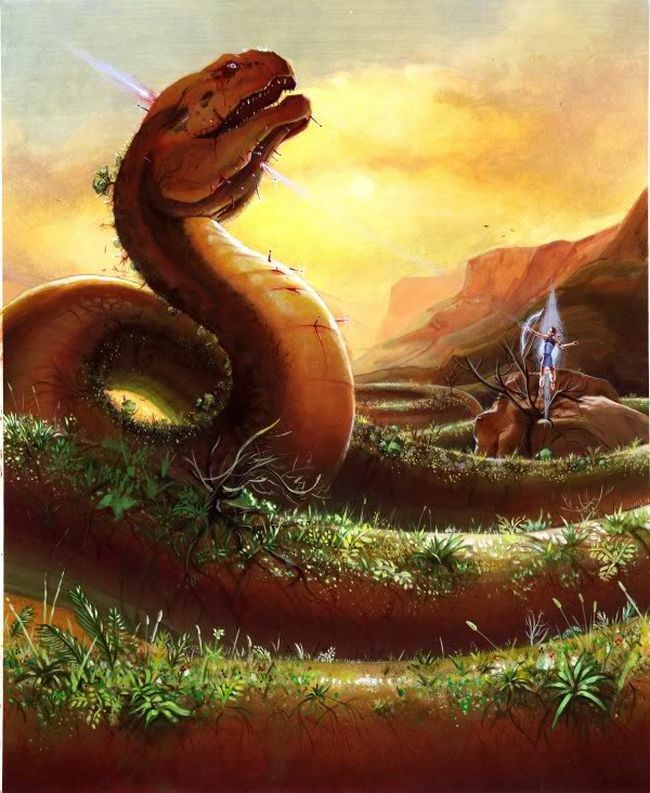 Interestingly, both the Mayans and the Aztecs were not too keen on solar eclipses (given the sacredness of the sun), as such their mythic traditions used to depict such rare scenarios with the Earth Serpent swallowing the great Quetzalcoatl. Furthermore, as opposed to their cultural penchant for human sacrifices, Kukulkan was supposedly not fond of such bloodthirsty practices. The primordial Kur is often considered as the first dragon within the web of vast literary traditions from Sumeria. He is described as residing in the void above the earth’s layer and below the primal sea. The monstrous entity is also often related to the Sumerian concept of the underworld, and such, among its numerous wicked exploits, the dragon once kidnapped the goddess Ereshkigal by taking her into his netherworld realm. 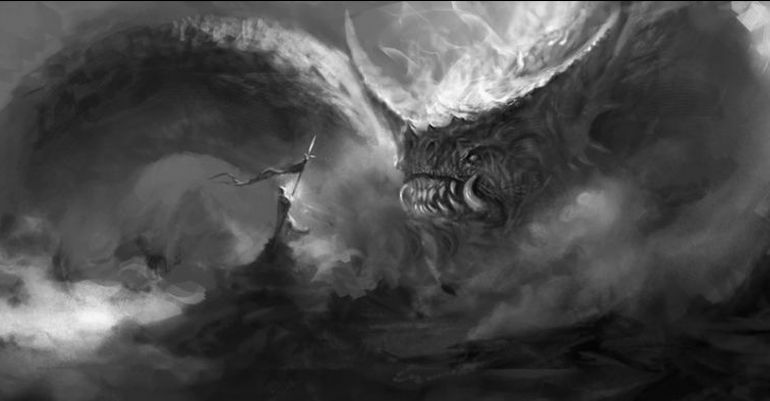 The rescuing task fell to a hero called Enki, and he successfully slew the mythical dragon – a narrative which serves as a prologue to the renowned ‘Epic of Gilgamesh‘. Interestingly, the act of ‘slaying a dragon’ is a common motif repeated in later Babylonian traditions, which might have also found its parallels or expansion (in tales) in other parts of the world. 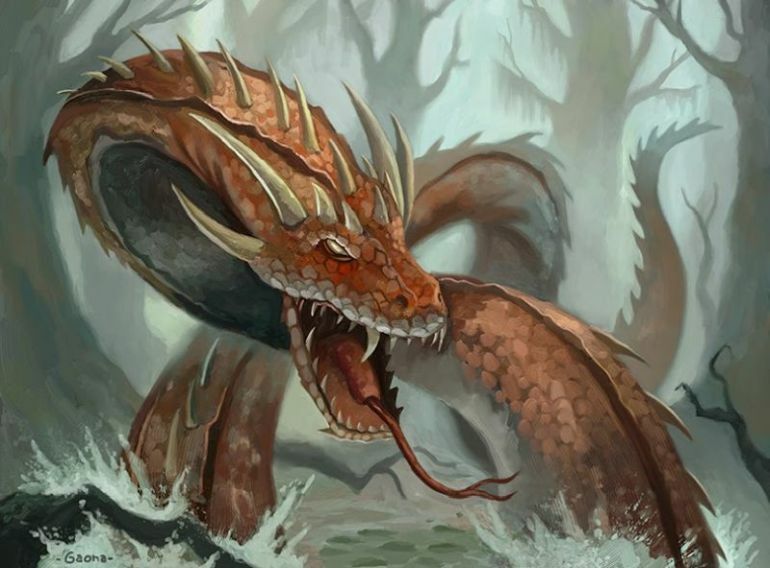 Python is depicted as the earth dragon that came from a slime in Delphi, while other sources claim the entity to be a female offspring of Gaia, the Earth goddess. She was described as being so humongous that her gargantuan coils stretched around the entire site of the Delphi oracle – thus ably protecting her mother. She was also counted as one of the pets of Hera (wife of Zeus), and that gave her the ‘privilege’ to cause harm and destruction to the surrounding lands, without getting punished. However, the happy romping sessions were finally curtailed by the Olympian deity Apollo, when he slew the mythical dragon with his weapon of choice – the bow and arrow. The god of ‘light and sun’ also took over the stronghold of Delphi and grandly refurbished it with his own predilections. Stoor Worm or Mester Stoor Worm (also known as Master Stoor Worm) is an evil monster from Orcadian mythology (myths pertaining to the Orkney Islands, north of Scotland), who is portrayed as having the fetid capacity to cause pestilence and contamination among both plants and animals. He was also known to be a glutton, and would randomly pick seven victims from the nearby settlement for his weekly meal. Fortunately, in an interesting turn of events, it was little boy named Assipattle, who killed the mythical dragon by going inside its belly with a boat and burning the creature’s liver. 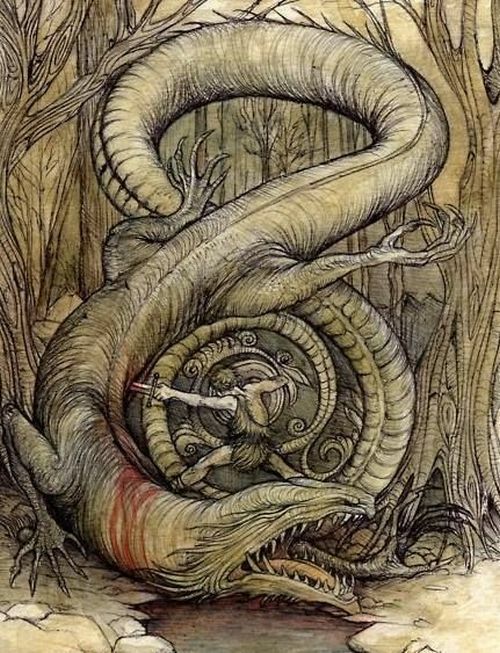 However, the scope of the Stoor Worm might go beyond this little tale, as some experts believe the monster dragon was an Orkney version of the famous Jörmungandr from Norse mythology (the World Serpent who is predicted to be killed by the mighty Thor during Ragnarok). Mentioned in the ancient Aryan Vedic texts as the main adversary of the Indra (the king of Devas or ‘demi-gods’), Vritra was an Asura (a spirit that seeks power and dominance) who was represented as a mythical dragon-like entity. Also known by his Vedic name of Ahi, which translates to ‘snake’, Vritra personified the droughts that ‘imprisoned’ numerous rivers and water bodies. On the other hand, Indra was the God of thunderstorms and rain, and hence their enmity is well justified within the literary scope. To that end, in an epic battle, Indra successfully destroyed 99 fortresses of the beast, and finally slew the dragon himself by breaking his jaw into two – with his imbued power being generated from an enchanted drink called ‘Soma’. This heroic feat finally led to the freedom of the flowing rivers. 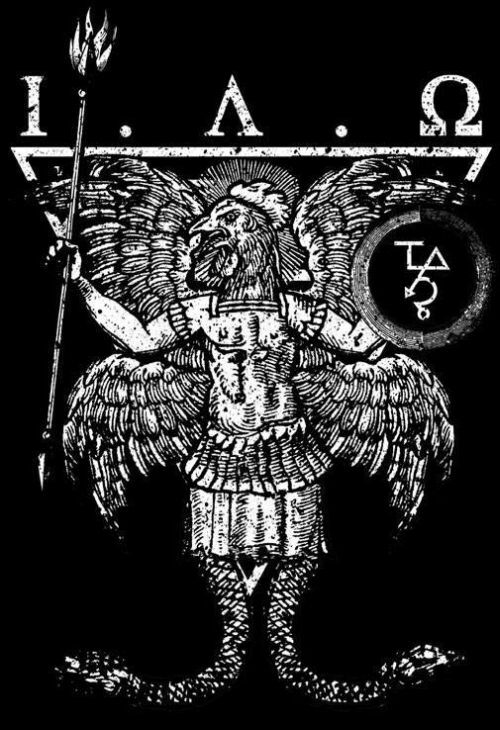 Abrasax (or Abraxas) is a well known term in Gnostic traditions, where the entity is considered as the great ‘Archon’ or God. This makes etymological sense, since Abrasax in Greek translates to ‘supreme being’, with the seven letters denoting the seven primary planets. Even the Greek letters of the word add up to 365, which pertains to the number of days in a year. However, beyond Gnostic traditions, the Abrasax might very well have had its origin in Persian myths. According to numerous sources, the entity was often perceived as a demon (as opposed to a god), and it was described physically as a hybrid between a mythical dragon and serpent, with a rooster’s head! Also, in an interesting note, it has been suggested that the whimsical word Abracadabra is derived from Abrasax.